We would like to thank all of the agents who came to see us ( TM and Iwan) at the recent World Travel Mart at the Excel Center in London. The weather was mild, not to cold at all. We enjoyed the event and the London street life. The fish and chips in the pub was great.The show was a success as we now have UK agents who are keen and committed to selling the Cocotinos brand of resorts.We also met agents from other parts of Europe, Denmark especially and the USA. And also entered into partnerships with more companies with strong on-line travel connections. As you can see from the photo it was not all hard work, with our owner Mr Wong playing the guitar with a beautiful lady on another stand. Hopefully this will translate into good business for all of us, which is music to everybody's ears. 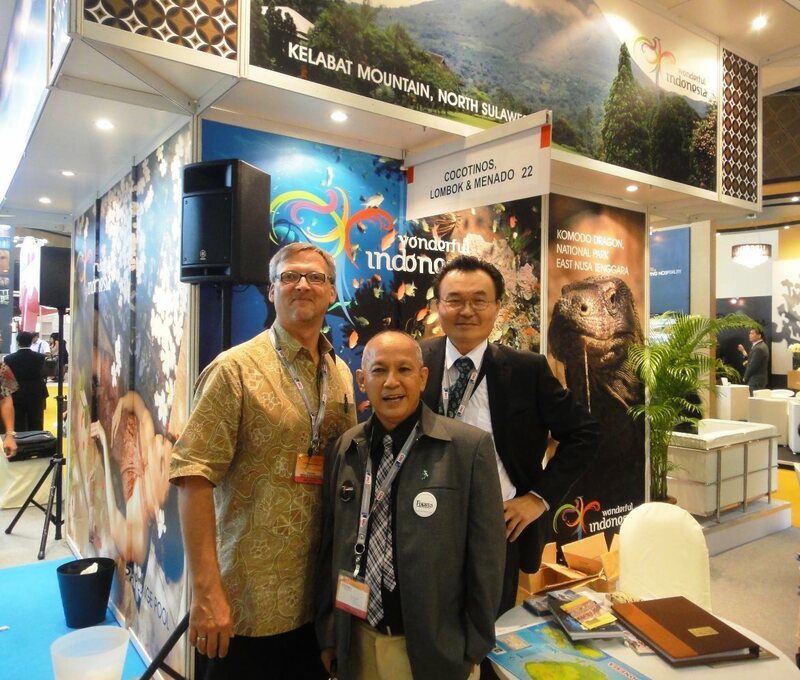 What a great poster of Bunaken and North Sulawesi right behind our table at the recent ITB Asia travel show. 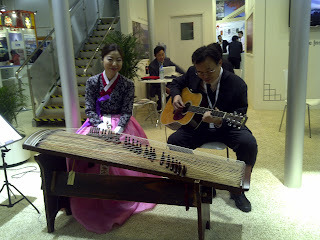 It was great to catch up with our old partners in the travel industry and meet new ones. We are looking forward to another great year. 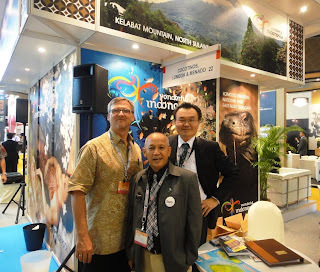 ASIA Travel Tips.com interviewed TM, owner Cocotinos Boutique Beach Resorts & Spas - Mr. Wong Thiam Meng, while he was at the ongoing World Travel Market (WTM) at ExCel, London. You can catch the interview at AsiaTravelTips.com youtube channel.